Yes, according to ALEC, an organization that specializes in getting the right-wing agenda written into state laws, people like me who invest in energy-efficiency and shrinking our carbon footprints ought to be penalized. That’s no conspiracy theory. Recently the British newspaper The Guardian wrote aboutthe assault on solar panels as part of a broader exposé on ALEC. 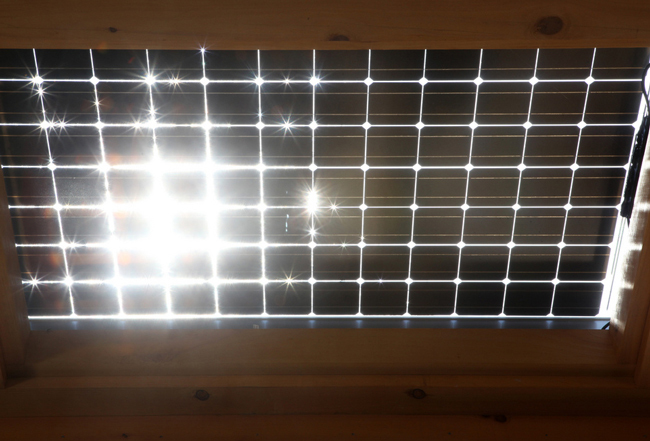 John Eick, the legislative analyst for ALEC’s energy, environment and agriculture program, confirmed to The Guardian that the organization would support making solar panel users pay extra for the electricity they generate. That’s already about to happen in Arizona, where homeowners who use solar panels will pay an average of about $5 extra a month for the privilege, starting in January. The solar power industry called the new rule a victory only because power companies in the state were demanding assessments of as much as $100 a month — more than high enough to deter families from considering switching to solar. Making solar energy cost-prohibitive for homeowners and businesses is part of a larger ALEC objective, affirmed at its recent annual meeting, to continue its effort to eliminate state renewable energy mandates. According to meeting minutes, ALEC has already succeeded in getting legislation introduced in 15 states to “reform, freeze, or repeal their state’s renewable mandate.” ALEC lobbyists are pushing policies through states that will speed up climate change and increase pollution. They’re threatening the renewable energy industry, which is already creating new jobs and saving money for homeowners and businesses. Without the current policy paralysis in Washington and a lack of bold, creative thinking about how to build a new, green economy at the national level, they wouldn’t be making so much headway. My organization, Institute for America’s Future — together with the Center for American Progress and the BlueGreen Alliance — recently published a report that shows what’s at stake with ALEC’s destructive agenda. Our “green industrial revolution” report recommends tying together a series of regional solutions that take advantage of the unique assets of each part of the country, such as the abundance of sun in the West and the wind off the Atlantic coast, into a cohesive whole. These regional strategies would be supported by smart federal policies, such as establishing a price for carbon emissions and a national clean energy standard, creating certainty and stability in the alternative energy tax credit market, and providing strong support for advanced energy manufacturing. This is the way to unleash the kind of innovation and job creation our economy — and our rapidly warming planet — desperately needs. My solar panels are the envy of my block and I wish more of my neighbors will be able to make the same choice I did. But they won’t if fossil-fuel dinosaurs like the Koch brothers and right-wing organizations like the American Legislative Exchange Council keep casting their dark clouds on efforts to build a clean energy future. It’s time for them to step aside and let the sun shine in. ALEC is the biggest threat to this country since the collapse of the Soviet Union. The real threat comes from folks unwilling to discuss differing points of view. If ALEC is a threat, where does that put Move ON? Its time that we take a stand against these oil barons and demand legislation like in Arizona to be dismissed and stop punishing those middle class families that can afford their solar or wind systems in their homes or businesses with the earned credits of federal and state help. I knew sooner or later the energy giants will start boycotting alternative energy systems. Sickening! people who have paid for solar systems at their home should not have a “tax” onto that system for the power they get from it. BUT I also do not think the rest of us should be giving “tax” credits in the way of direct payments to the solar corps. top pay for their solar power. services and products to effectively use solar energy.